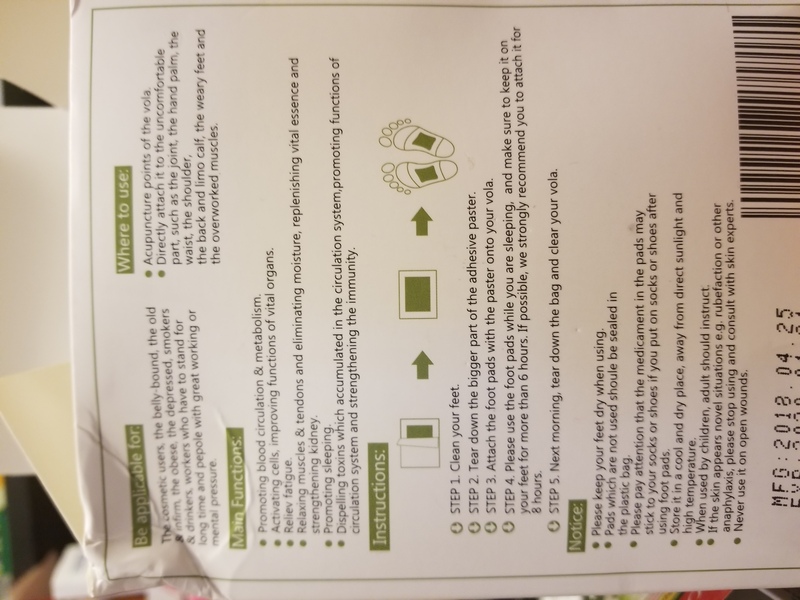 I received this product at a discount to do this review. All opinions and photos are mine. Everyone has their own methods to curing what ails ya. So when all else is failing, how do you give yourself a boost? 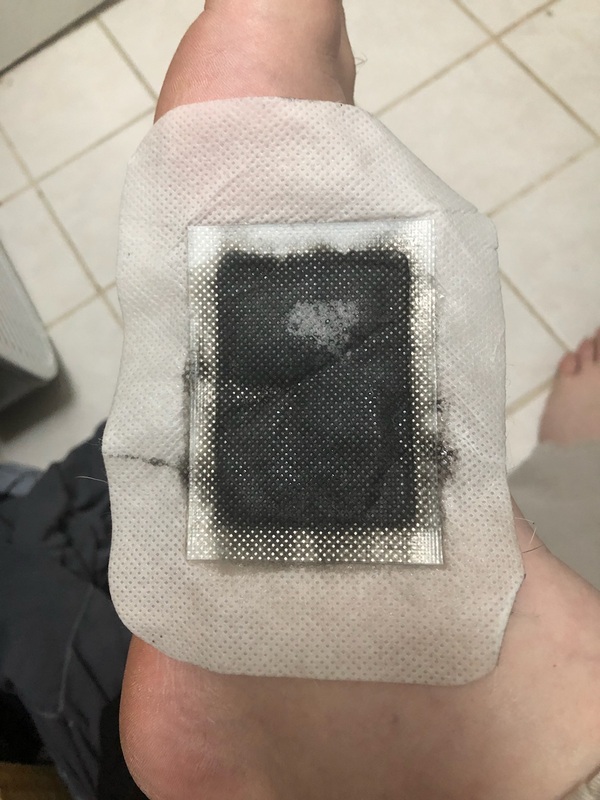 You can try foot pads! 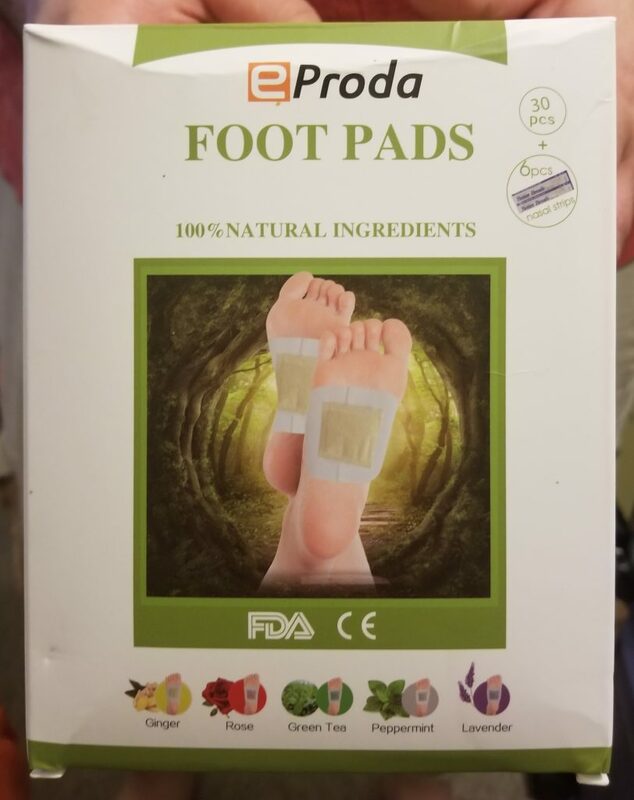 I’ve tried foot pads before, so I was happy to try this brand. 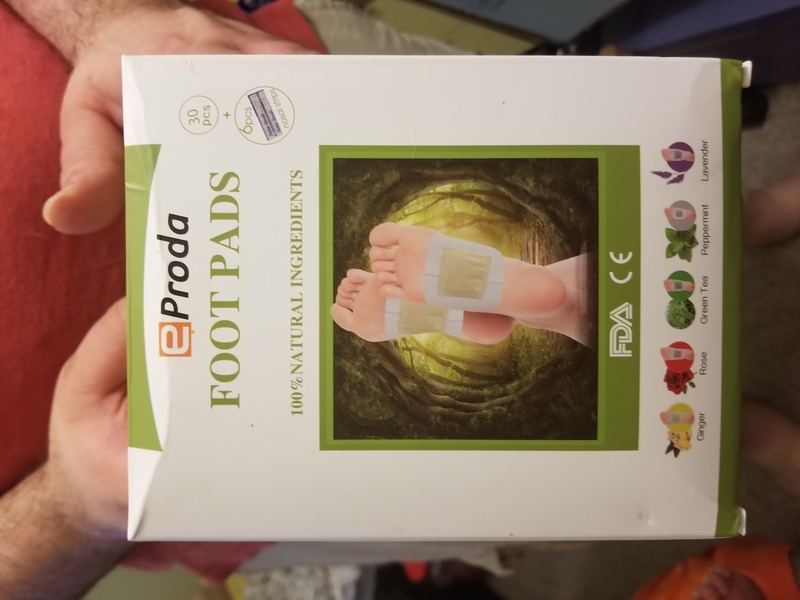 First off, the eProda Foot Pads come in a box. They are packaged well. 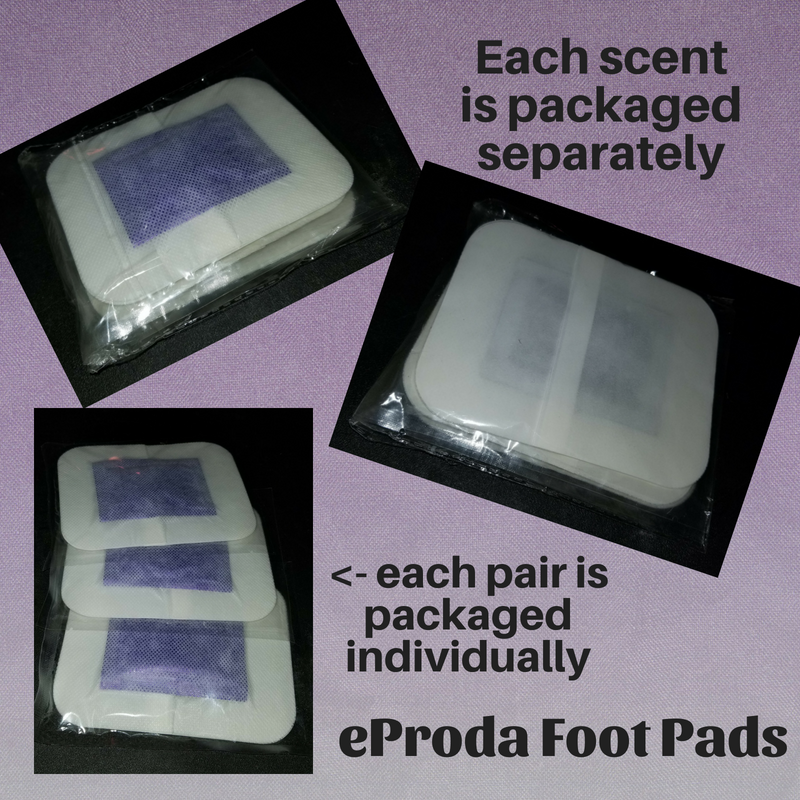 If the box gets wet, the pads are wrapped in plastic and separated by scent. For the review, we tried the green tea ones, which smelled more like charcoal. They were really easy to apply. 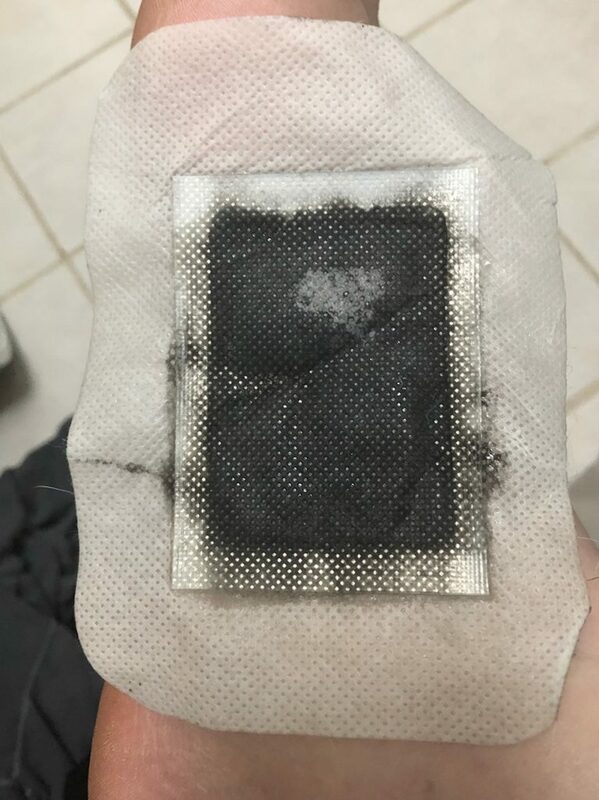 They left a bit of residue, which was easily rinsed off. 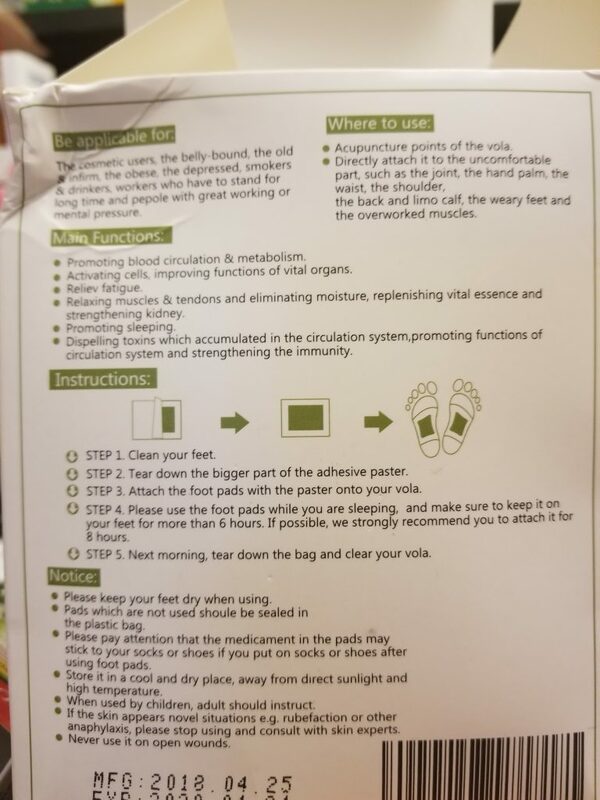 Although Mini reported not feeling any different, my husband’s congestion lessened overnight. It could be a coincidence, but he wasn’t feeling crummy and this was the only thing that he did that was outside of his normal routine. Overall, I like them and although the smell is super strong, I recommend them. 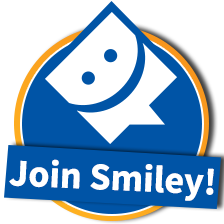 Also the box came with 2 bonus items: a set of 8 snore strips and a 30% off code for the next box. Sweet! Check them out and purchase them HERE. « Beautiful Thank You Notes!